Deep red and violet in color, with powerful aromas of ripe red fruits, strawberries and cherries, with hints of coffee and chocolate from the oak. Good body and fleshy tannins lead to a long, lingering finish. in the mid-1990s Concha y Toro started a new winery in Mendoza. 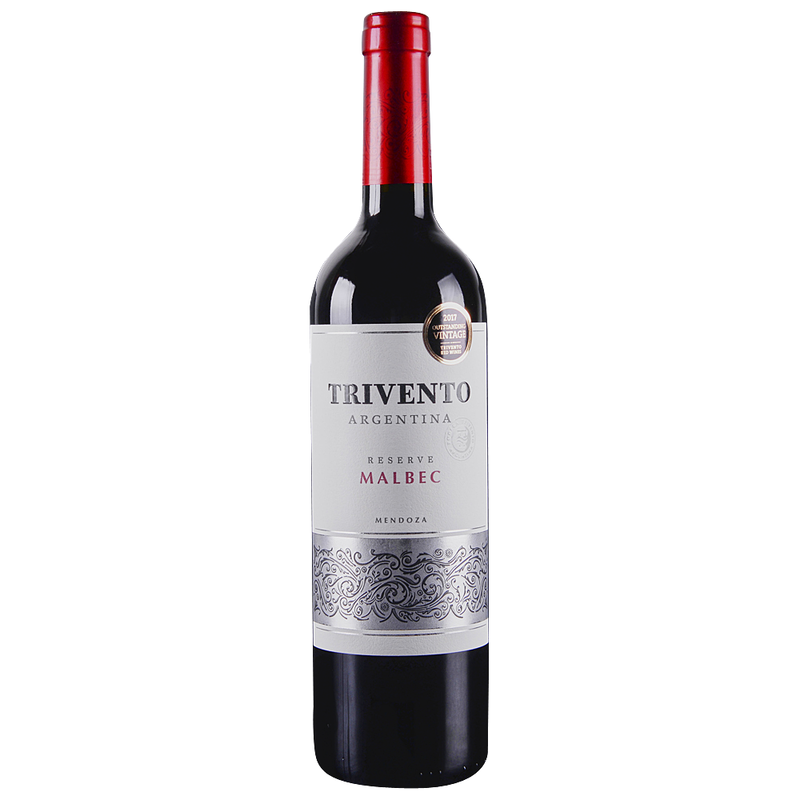 Wind is the agent of change, so it was only fitting that the new venture was named “ Trivento” (Three Winds), a whimsical reference to three winds that sweep through Mendoza and are such a distinguishing feature of the region’s climate. Aromas of dark fruits, violets and coffee. The palate offers lush juicy cherry fruit and sophisticated structure. persistant and pure finish.